What do you get for the budding sous chef who has everything? Our gift guide can help. While most of us cook on a regular basis, not everyone enjoys it—it can feel like just another chore. But often, people who enjoy cooking really enjoy it, whether it’s the methodical process of following a recipe or experimenting to make it even better. So, if you know someone who loves to cook, chances are he or she will love some new kitchen gear this holiday season. But what do you get a budding sous chef who has everything? Consider a high-tech cooking gadget or connected appliance. And, no, we’re not talking about ultra-expensive smart fridges or the latest-and-greatest stoves. Here’s our list of tried-and-true cooking gear that can turn any kitchen into a smart kitchen. No matter how perfect your recipe is, it can all go to hell if it’s not cooked at the right temperature. 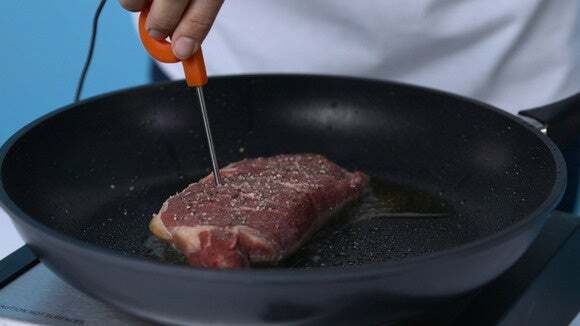 Your chef friends will get a kick out of the $199 Pantelligent, a Bluetooth-connected smart frying pan with a built-in temperature sensor. Its companion app for iOS and Android devices has an onboard recipe collection, so just select a recipe, tap your phone against the Pantelligent’s handle to sync, and then get to work. The app walks you through the entire cooking process, using the pan’s temperature sensor to calculate the precise cook time for your meal. The app will tell you when the heat is too high or too low so you can adjust accordingly (which, fair warning, can be annoying if you have a really finicky stove). The app even tells you when to flip or stir, depending on what you’re making. Beginners will love the step-by-step directions, and more seasoned cooks will love creating recipes for Pantelligent’s cookbook. The pan itself has a non-stick coating, is nice and lightweight, and is easy to clean. It can be used on any gas range or electric stove (just not a fancy induction cooktop). Most importantly, the results are fantastic. I’ve made eggs, salmon, risotto, seared tuna, and steak using Pantelligent’s recipes, and everything turned out delicious. The salmon was my favorite, since the pan’s sensor made it nearly impossible for me to overcook it. Fresh herbs and garnishes can add a ton of flavor to a dish, so a no-frills herb garden makes an excellent addition to any kitchen. The $60 Click and Grow is about as no-frills as you get—it’s an herb garden for people who hate gardening. 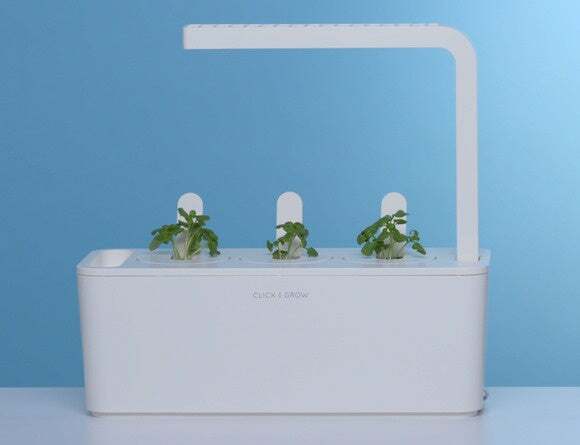 This small planter box can hold three Click and Grow plant pods at a time, and includes an LED light and built-in water reservoir. When you plug in the Click and Grow, its LED light will turn off and on at regular intervals to provide your plants with just the right amount of light. Same with water: Fill up the reservoir, and the Click and Grow will handle the watering. It’s basically a fool-proof system. When the tank is running low, the light flashes off and on rapidly, almost like a strobe light. You’ll never accidentally kill a basil plant again. One downside: You have to use Click and Grow’s special plant pods, which cost $20 for a pack of three (the Click and Grow unit ships with three basil pods to get you started). But the pros outweigh the cons—the pods are already packed with seeds and nutrient-rich soil, so there is zero mess involved. Plus, Click and Grow has pods for a wide variety of herbs, including basil, thyme, and lavender. There are even pods for mini tomatoes. Sous vide cooking used to be reserved for chefs at high-end restaurants, but now home chefs have several small-scale sous vide options to choose from. 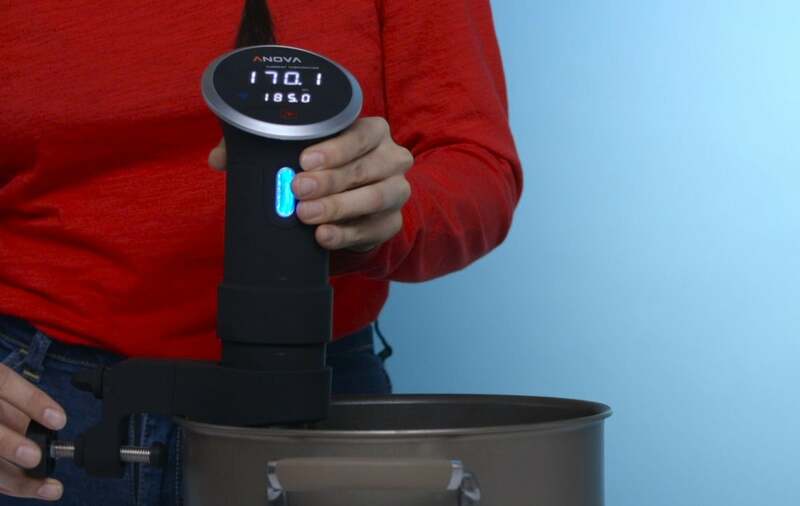 We like Anova Culinary’s $199 Precision Cooker Wi-Fi for its size, connectivity options, and companion app. With sous vide, you use the Precision Cooker to bring a pot of water up to a controlled temperature that’s hot, but not always boiling—kind of like a hot tub, but for veggies, meat, eggs, and other noms. If the precision cooker unit is too large, it won’t fit in a standard pot, which is why the Anova Precision Cooker is a great choice. I’ve tested other sous vide systems that required me to use a deep container filled with water, but Anova’s clips easily into most deep kitchen pots. 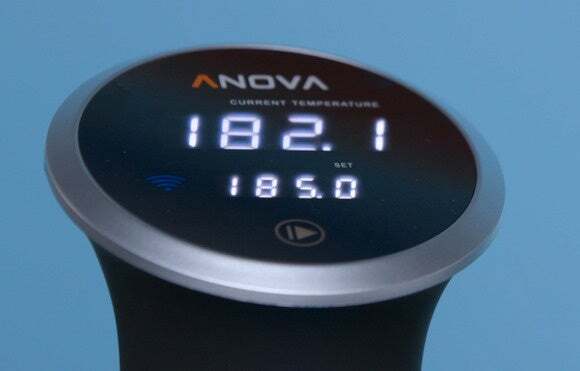 Anova’s mobile app for iOS and Android is filled with killer recipes, but also lets you turn on your Precision Cooker (over Wi-Fi or Bluetooth), set a temperature, and monitor your meal’s progress remotely. Sous vide is the new “set it and forget it,” since many recipes require a lengthy cook time. Drop your main course and seasonings in a ziplock bag, use the warm water to create a seal, stick it in the pot, and don’t come back until it’s done. 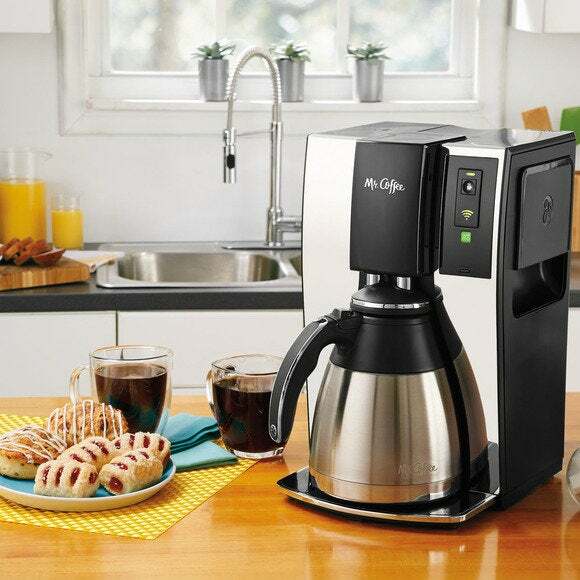 No kitchen is complete without a device that brews coffee, whether it’s a low-tech French press or top-of-the-line espresso machine. Somewhere in between lies Mr. Coffee’s $180 Smart Optimal Brew, a traditional-looking coffee maker that packs a high-tech secret. Specifically, the coffee maker supports WeMo, a connected appliance platform that lets you control hardware functions via the WeMo app for iOS or Android. One of Supermechanical’s Range thermometers would make the perfect stocking stuffer for your favorite grill master. Use the 3-inch Ember Range for meat and fish, and the 6-inch Aqua Range for pot-based projects like beer brewing, candy making and cheese making. Snag one for $70, or the pair for $130. The Range thermometer plugs into your iPhone’s headphone jack and feeds temperature info to its companion smartphone app (iOS only). Use the app as a cooking guide: For example, you can tell the app that you’re cooking a steak and you’d prefer it medium rare, and the app will send you a push notification when it’s ready to serve. Keep it plugged in to get instant info and a handy graph of your meal’s cook stats, or unplug if you want to monitor something in the oven. Baking is more of an exact science than cooking, and many pros believe that weighing ingredients instead of using measuring cups and spoons yields better (read: tastier) results. 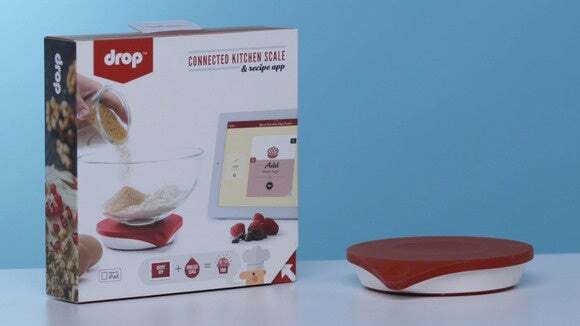 That’s why bakers will love the $100 Drop Scale, an ingredient scale that works in tandem with its companion app for the iPhone and iPad. Pick a recipe from Drop’s app, place a mixing bowl on the scale, and Drop guides you through the rest, weighing each ingredient as you add it. Its recipe book is extensive, branching beyond just carbs and sweets (think cookies, muffins, pizza dough, and cakes) over into savory territory (meatballs, tomato soup, guacamole, hash browns). Another recent addition to the app’s database? Cocktails. Cheers to a drama-free holiday season.